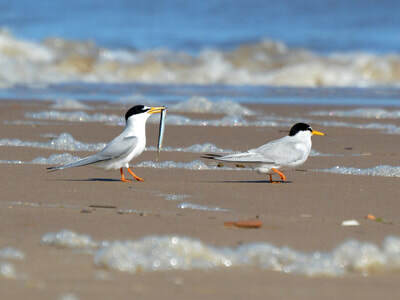 The Little Tern is the smallest Tern species you will come across in Britain, about half the size of a Common Tern. They have a yellow bill with a small black tip and a distinctive chattering voice. 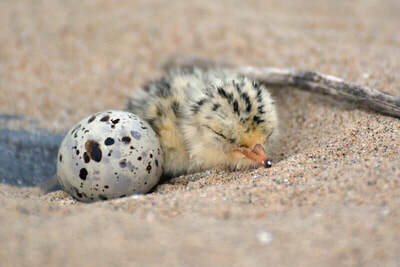 The adults only weigh a little over 50g, as much as a golf ball. 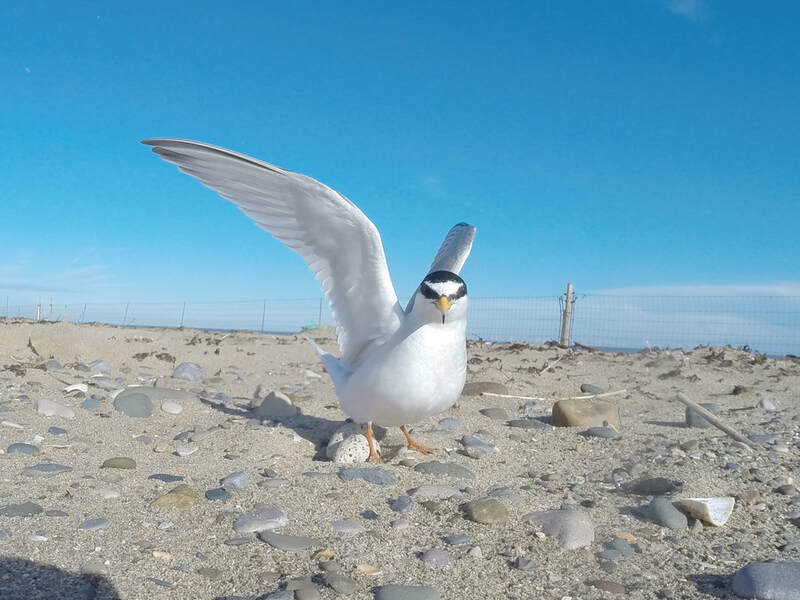 Sternula albifrons is the Latin name for the species and it translates as 'white-fronted small tern', an apt description of the forehead pattern and small size of the species in relation to other members of this seabird family. The Little Tern arrives back in Britain from West Africa at the end of April to breed on sand or shingle beaches, spits or small inshore islands. The beach at Gronant offers good nesting habitat as it is made up of a perfect mix of shingle and sand in areas. Below is a video taken of a male Little Tern performing courtship upon a female. In this instance she wasn't particularly interested, despite his best efforts! Unfortunately, they suffer badly from human disturbance, predators including Kestrels, Crows, Foxes, and Stoats, high tides and severe weather. As a consequence a team of three wardens are employed each summer to look after the site, but it is a large site and volunteers are needed to support their work. Together the staff and volunteers have made the colony at Gronant grow in to one of the largest in the UK with 174 pairs in 2018. 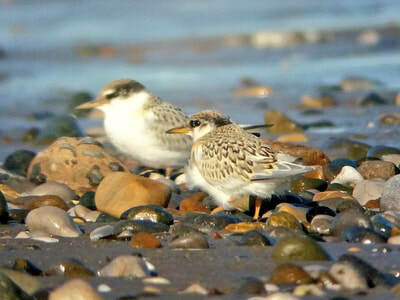 However, this is now the only site in Wales where this charismatic species breeds and it is an ambition of the group to encourage the species to start new colonies at other sites in North Wales. As such fencing is now erected every season at Horton's Nose, Kinmel Bay and the RSPB's Point of Ayr, Talacre. Both these sites have hosted a pair of breeding birds in recent years but haven't quite established a regular colony as yet. 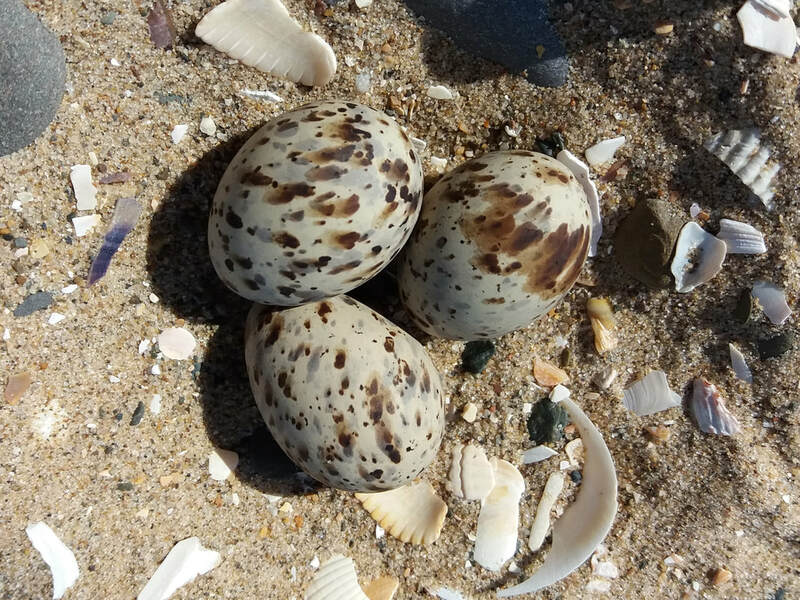 The images below show a range of pictures taken during the breeding season - eggs, courtship, adult taking off from nest, fledglings and a freshly hatched chick next to an egg yet to hatch. Below is a season report for a previous year. If you are interested in learning more about the birds and the management of the colony at Gronant then please join the NWLTG and you will get the latest copy of the report e-mailed to you each year.